Scott Holmes was called to the New South Wales Bar in 2012. Since being called to the Bar, Scott has appeared in a range of matters including Common Law, Insurance, Family and Crime matters. Scott has advocacy experience in the Local Court of NSW, District Court of NSW, Supreme Court of NSW, Supreme Court of NSW Court of Appeal and the Family Court of Australia. Scott also has extensive alternative dispute resolution experience and has conducted various work on a Pro Bono basis. 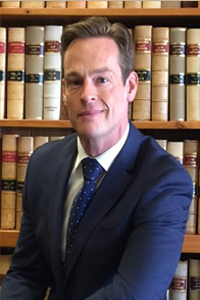 Scott’s extensive legal experience prior to being called to the Bar included working as a solicitor in both England and Australia. Scott began his legal career working as a solicitor in England acting predominantly on behalf of Plaintiffs in a wide range of areas including; occupier’s liability, public liability, medical negligence, motor vehicle and industrial disease claims. Scott commenced practice in Australia in 2008 at Henry Davis York Lawyers, Sydney. Immediately prior to being called to the Bar, Scott practised at Holman Webb Lawyers acting on instructions from insurers on behalf of both Defendants and Plaintiffs.